Georgia has many small breweries throughout the state that offer freshly made, fabulous tasting brews. 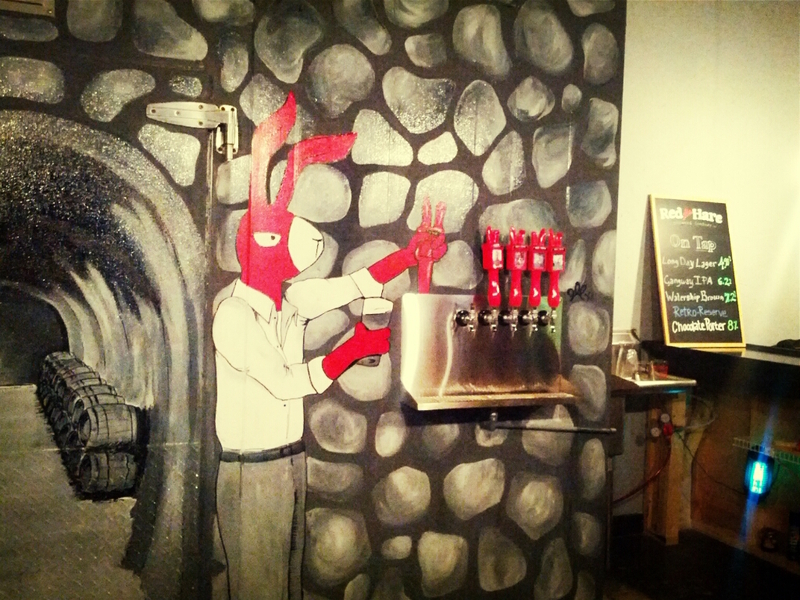 This is a list of 10 breweries that every beer enthusiast should visit if they get a chance. Many of them offer tours around their brewery and sampling of their latest beers in season. Sweetwater is probably one of the most well-known breweries in the state. They have some excellent brews, and host a festival during the summer in Atlanta called Sweetwater 420 Fest where hundreds of people gather to listen to some great tunes and drink malty brews. The Sweetwater dream began in Boulder Colorado, with the creators opening their first brewery in Atlanta in 1997. They hold 20 minute tours from Wednesday to Sunday, but change the times a bit when the holidays roll around. The brewery also hosts live music on many days during touring times. Be sure to check out their stouts, which have some pretty great flavors and are available in retail stores and most bars in the state. 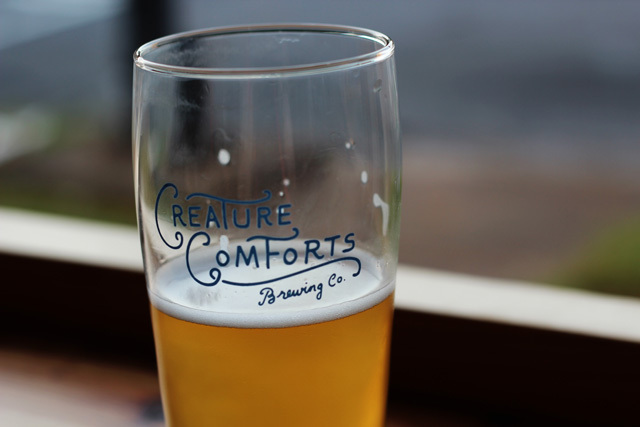 Creature Comforts was started by a few very talented home-brewers, it took the place of Snow Tire Co. on the streets of downtown Athens in 2014, and has been very popular with students and visitors to Athens ever since. Try a taste of the Bibo, Reclaimed Rye, or Athens for their year-round selection, or check out some of their new brews and seasonal beers that are always listed on their website. 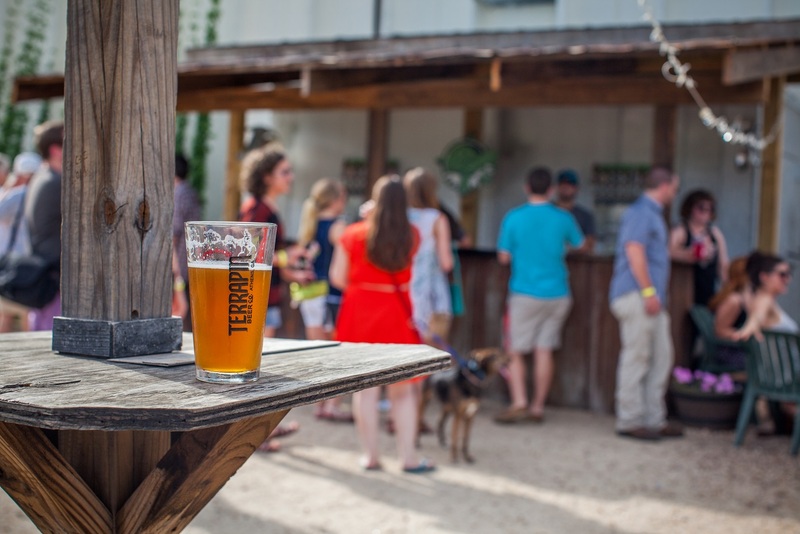 A treasured spot among UGA students and Athens visitors, Terrapin Beer Company offers some pretty unique brews along with some great live music. Just a short drive from downtown Athens, visitors should check the website to see what music and brews are in store for the week. They offer some pretty alternative tastes such as the Walking Dead Blood Orange IPA (coming soon) and the Liquid Bliss Chocolate Peanut Butter Porter. They also offer their classics, which include the Hopsecutioner IPA, the Rye Pale Ale, and many others. A craft brewery that emphasizes the Southern history and style of Georgia, their year-round beers include the Hop Dang Diggity, Big Creek, Cooter Brown, ‘Merican Amber and the Southern Session. Jekyll hosts live music once or twice a week and has an open space to play games and hang out with friends. Their beers taste great, and encompass many global influences to form a style of their own. 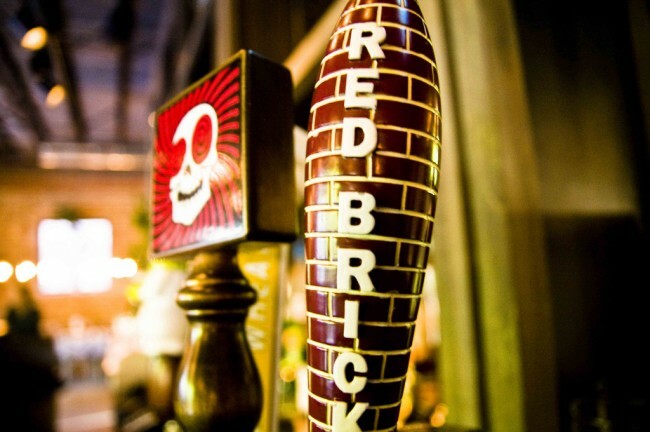 Red Brick Brewing Company is located in the city of Atlanta. Tours are offered from Wednesday through Sunday, and it’s sometimes possible to see the beers being brewed from their large window that gives a spacious view of the brewery warehouse. The venue can be booked for events, and prides itself on being the state’s oldest craft brewery still in operation. A former Guinness executive opened the doors in 1993, and they have been serving a range of different brews ever since. Forming an alliance with Vortex, a well-known burger joint in the city, their logo has now become the skull featured in the restaurant’s logo. Some of their brews include Hoplanta, Beard Envy and Laughing Skull, although many more delicious options can be found in stores and at the brewery. They offer nights of live music on Fridays and trivia on Thursdays. Monday Night Brewing is all about creating some classic craft beers. While they have seasonal beer, some of their classics include the Blind Pirate, Nerd Alert and Eye Patch Ale. Check the website for the latest brews, as well as times for their tours on Mondays, Tuesdays, Thursdays, and Saturdays. 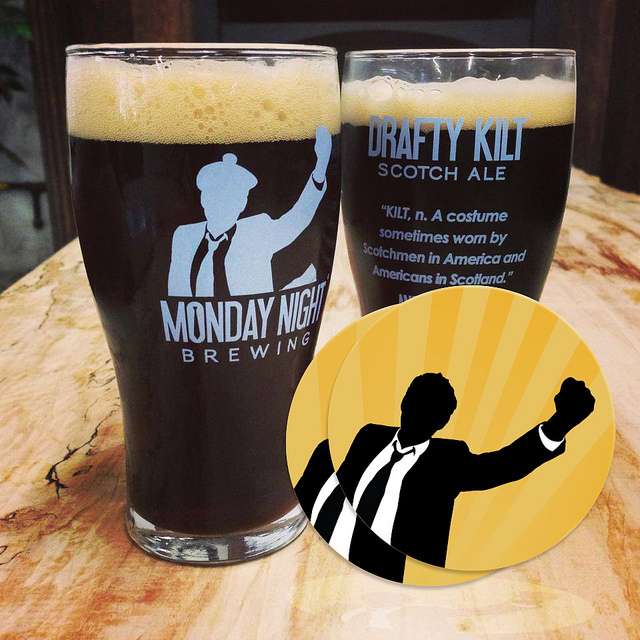 Their brewery features the trend of skinny ties, open space, and a community oriented project that traces its roots back to a Monday night bible study group. 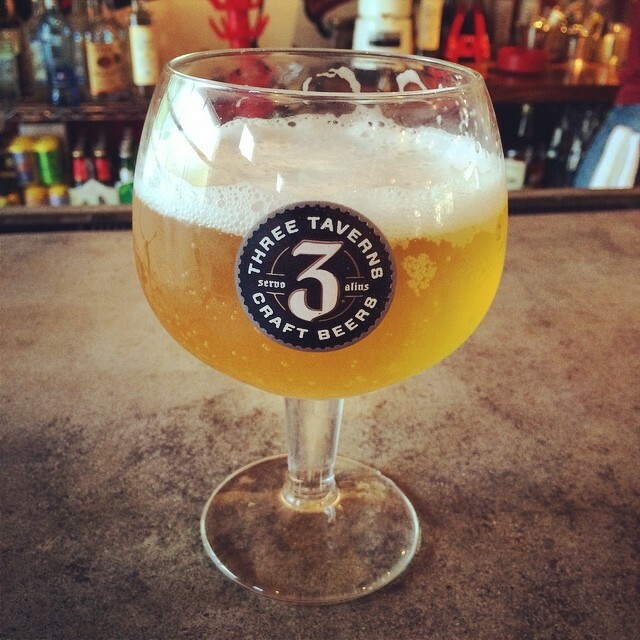 Three Taverns opened in 2013 after some inspiration from Belgian and Portland beer. Like many breweries, the passion and discovery of making beer has turned into a brewery of its own, serving some great IPAs and Belgian-style beer. The name comes from a Latin phrase emphasizing the idea of community and revival, and one of the brew masters has now moved to the U.S. from Belgium to share his brewing wisdom. The building has its own experimentation room called the ‘Imaginarium’ where they test out different recipes and combinations that a few customers visiting the brewery could likely try as well. 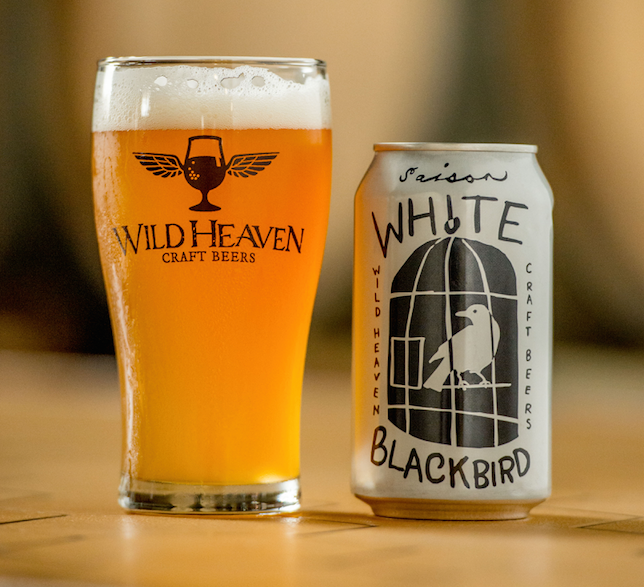 Wild Heaven Craft Beers was started by two Georgians who set up their brewery close to Avondale Estates in Atlanta. One of the men was a local in Athens, and owned the bar Trappeze. The other held the title of the Founding Publisher of the media company Paste, and together they have come to make some pretty great beers, taking concepts from European and American brewing styles. Try the Invocation, White Blackbird, or Let There Be Light for some wonderful flavors! Also, be sure to check out their website to see if there’s anything going on at the brewery that week. Modeling business after six core values: acceptance, story, authenticity, moderation, humility and humor, Reformation Brewery aims to elevate the perception of beer through their production of three series of craft beer. Having began as a small home brewery, Reformation is now one of Georgia’s fastest growing breweries. 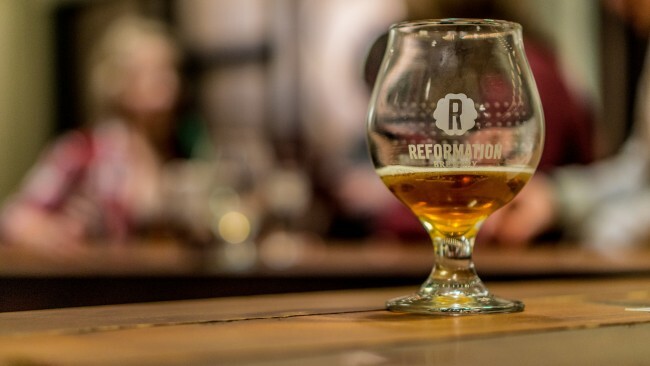 With regular tours and tastings, the Reformation Brewery company prides itself on good company and conversation in sharing its drinks. Having offered tours since 2011, Red Hare Brewing Company was Georgia’s first craft brewery to offer its beer in cans. They are also the first in the world to use recycled aluminum in its ‘evercans’. The company’s year round and seasonal drafts can be found in restaurants and pubs throughout Georgia, Tennessee and South Carolina. However, a tour of the brewery display’s Red Hare’s impressive three vessel brewhouse, fermentation space and brite beer storage.